If you were looking for a new fly rod or wanted to match a new flyline you couldn’t have picked a better day. Blue skies, hardly a breath of wind and we had a massive range of rods & lines to try out. 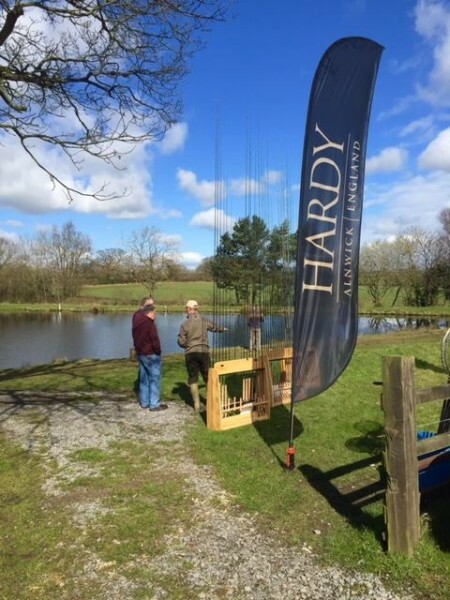 Our thanks to all who attended the day on Saturday and for Jim Fearn & Jim Wilson from Rio & Vision at Guide Fly Fishing, image above, & Andrew Sowerby from Hardy, Greys, below. Hope to see you all again same time, same place next year & hopefully same weather!